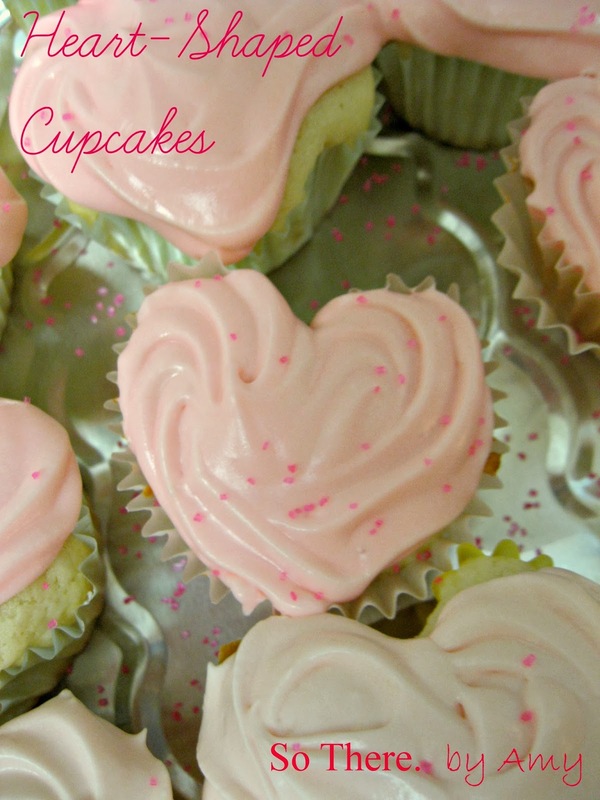 These cupcakes are a festive Valentine's Day treat! My sister, the best soux chef around! - she does dishes!! 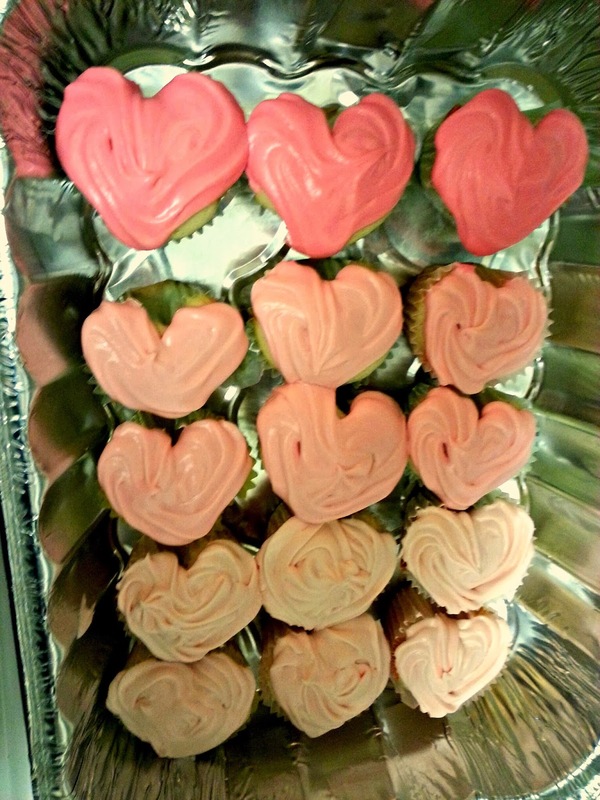 !, and I made heart-shaped cupcakes with 3 different colors of frosting for an ombre effect. So, I was inspired, and made these! The white cake recipe we used called for cake flour, but I learned, thanks to Pinterest, you can make your own! Thanks to Joy the Baker, we learned you can just sift some cornstarch into regular all purpose flour! See her full tutorial above for the details. 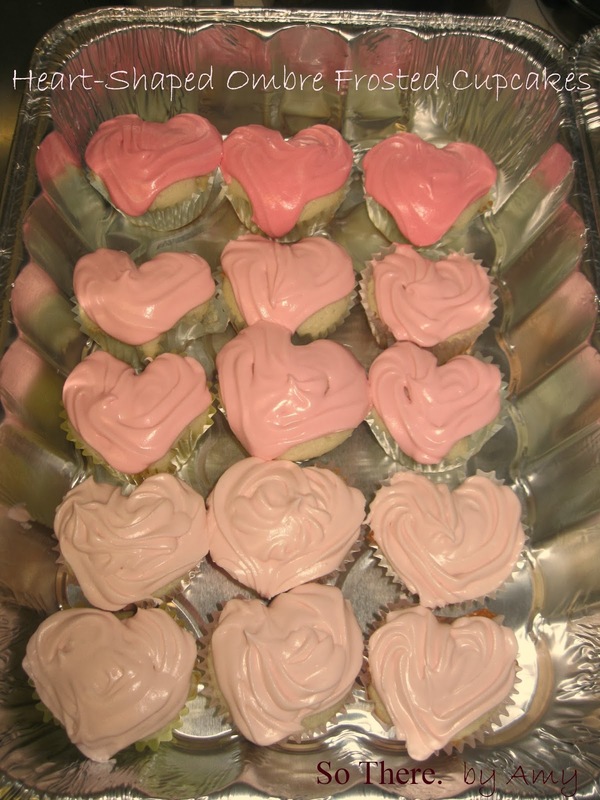 For the heart-shaped cupcakes, you can cheat and use a regular cupcake/muffin tin, instead of buying a heart-shaped pan! All you need is some glass marbles, and/or aluminum foil! Genius idea from: HERE. Put a paper cupcake liner in each tin, and fill each just over halfway full with batter. If they are too full, they will puff up and no longer resemble a heart. Once filled, drop a marble, or small ball of foil, in each tin, behind the liner, to make the top of the heart. 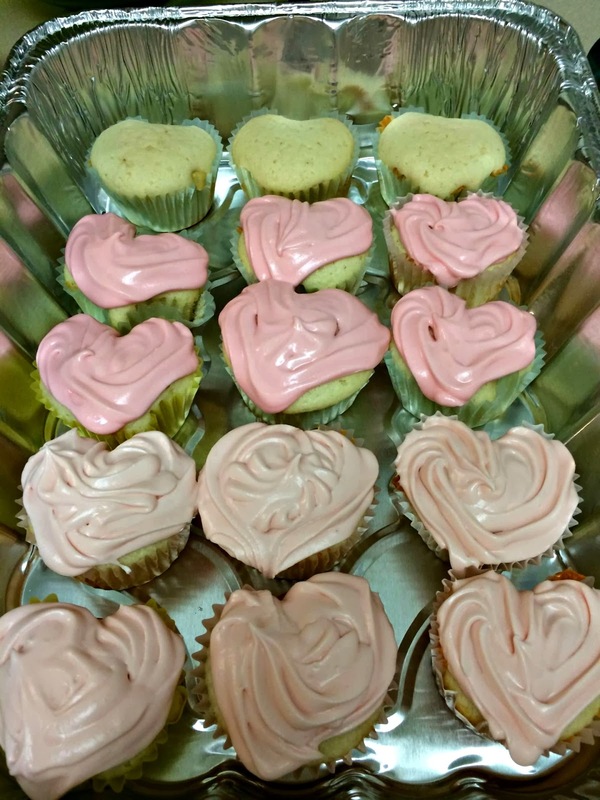 These alone turn out super cute, but, for more of a heart shaped bottom, add foil strips to either side, right at the bottom, to form the point of the heart. Too cute! Honestly, they came out a bit dense, contrary to their name. 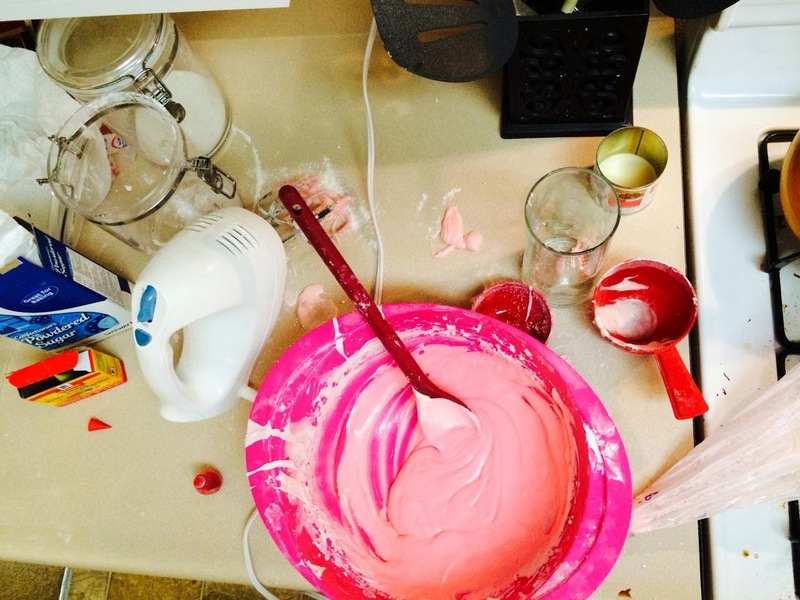 So, use any white cake recipe you like! And now, for the frosting! Again, use any vanilla frosting you like. I tried this one from Meg over at Big Red Clifford this time, and it was great! 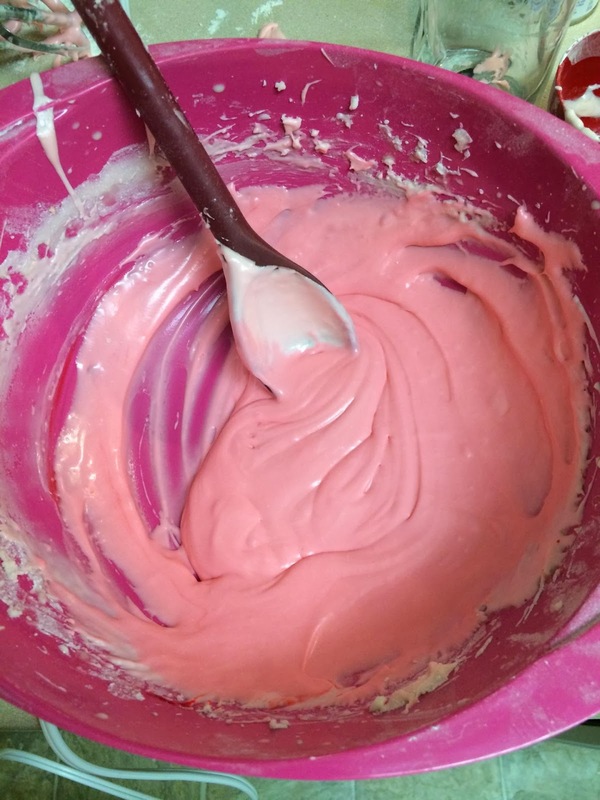 Once you have your batch of frosting, divide it into three bowls, and add: 1-2 drops of red food coloring to the first one, 3-5 drops to the second, and 6+ drops to the third. Basically, as you are making them, you just want to make sure that the next bowl is noticeably darker than the one before, so you get three distinct gradient pink shades for the ombre effect. 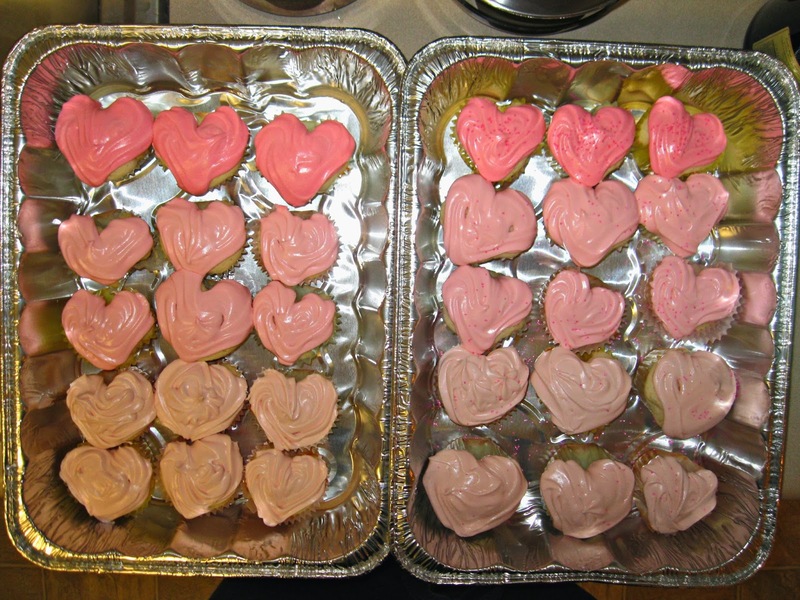 Put the first shade into a piping bag, and outline the heart shaped cupcake, then fill in the center with another smaller heart shape. 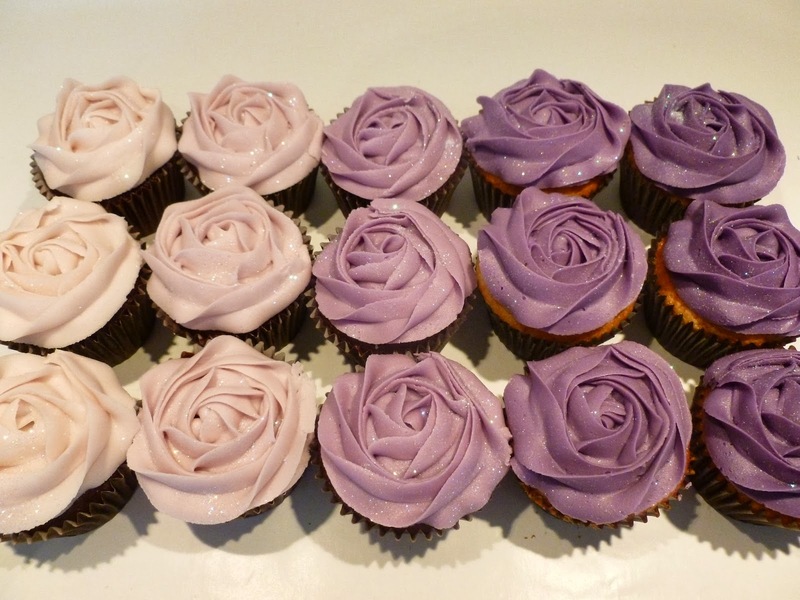 Add (optional) edible glitter or pink sprinkles, and Ta da!! Amazing, Heart-Shaped Ombre Frosted Cupcakes!